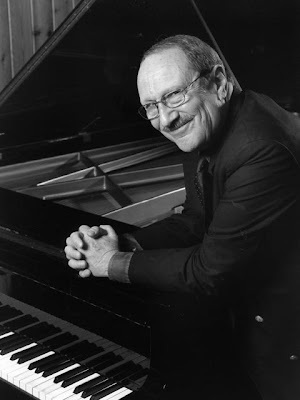 Mike Melvoin, a pianist-composer-arranger whose credits reach from Stan Getz and Frank Sinatra to Michael Jackson and the Beach Boys, and who was the first active musician to serve as national president of the Recording Academy, has died. He was 74. A first-call pianist and keyboardist since the early 1960s, Melvoin died Wednesday at Providence St. Joseph Medical Center in Burbank, said his daughter Wendy. He had cancer. In addition to his studio work, Melvoin remained strongly linked to jazz, his first musical love, performing on a regular basis in local clubs, frequently touring internationally and releasing numerous recordings of his own groups. Pianist-composer Michael Lang, also a busy member of the Los Angeles community of jazz and studio musicians, expressed high praise for Melvoin's many accomplishments, noting his "unique, significant contributions to jazz and popular music as a pianist, arranger and songwriter as well as a composer of film music." Jazz alto saxophonist Phil Woods, who performed on Melvoin's album "It's Always You," was equally enthusiastic about another area of Melvoin's skills -- his songwriting. "They're not just your regular Tin Pan Alley," Woods said. "It's the American song form raised a notch. Mike is like fine wine." Among the numerous sessions in his lengthy resume, Melvoin played on such memorable recordings as Frank Sinatra's "That's Life," Natalie Cole's "Unforgettable," the Jackson 5's "ABC," and "Pet Sounds" and "Good Vibrations" by the Beach Boys. "It was a marathon," Melvoin said, mentioning the "Good Vibrations" recording dates while describing the ups and downs of life as a studio musician. "Six double sessions," he recalled. "All for one song." His name turns up with remarkable consistency among the backing players for one varied hit after another, including Helen Reddy's "I Am Woman," John Lennon's "Stand By Me," Barbra Streisand's "Evergreen" and Quincy Jones' all-star collective, "We Are the World." As a busy studio musician for a good part of his career, Melvoin was always quick to defend the skills and the versatility of the players who performed, as he did, on recordings, films, television shows and beyond, bringing life to every style and genre of music. "Studio guys get sold short," he told the Boston Herald in 2004. "There's an innate distrust that people have that if you do one thing, somehow that's the authentic article, and if you do more than one thing, somehow it's not. The truth is the great studio players are the authentic article in everything they do." In 2011, when the Recording Academy made changes in the Grammy awards structure, Melvoin was in the vanguard of the movement to rescind the category changes. As a pianist whose career had touched every stylistic area, he was especially bothered by the effect of the changes upon instrumentalists. "Everyone who has ever played an instrument," he said in a public statement, "has had the possibility of receiving recognition from the Grammys gutted. That cannot and will not stand." Melvoin's advocacy for the recognition of instrumental musicians continued until his death. Michael Melvoin was born May 10, 1937, in Oshkosh, Wis. He began to play piano at the age of 3, and was an active performing musician as a teenager. After graduating from Dartmouth College in 1959 with a bachelor's degree in English, he moved to New York, focusing on a career as a professional musician. He relocated to Los Angeles in 1961. Melvoin, who was separated from his wife, Sandra, is survived by twin daughters Wendy and Susannah, both singer-songwriters; four grandchildren; a brother; and Melvoin's companion, actress Theresa Russell. His son, Jonathan, a member of the group Smashing Pumpkins, died in 1996 of a fatal heroin overdose.